Topiary designs can be truly amazing. From live topiary plants to preserved boxwoods, works of art can be sculpted from a large number of plants. Topiary forms are only limited by the human imagination. One of the most popular ways of shaping topiary is by training a plant by using a frame (i.e., an elephant topiary would require a frame in the shape of an elephant). Depending on the skill of the artist, topiary can be sculpted from just the plant alone. With that being said, we've assembled a list of the plants that make the best topiary. Shrubs produce small, thick leaves and have dense foliage. Plants like the holly, laurel, boxwood, and privet possess these attributes and are excellent choices for topiary. The most popular amongst these choices is the boxwood. This is especially true for varieties such as the "Morris Dwarf" which keeps its compact shape even if it isn't trimmed. Then there are hollies that have leaves that are very similar to boxwoods, such as the Japanese holly (and its varieties), which can be shaped and trimmed in much the same way as a boxwood. If small isn't exactly the route you're looking to go, the larger leaves of the privet and the laurel are perfect for larger topiary. Sometimes smaller is better for table tops. 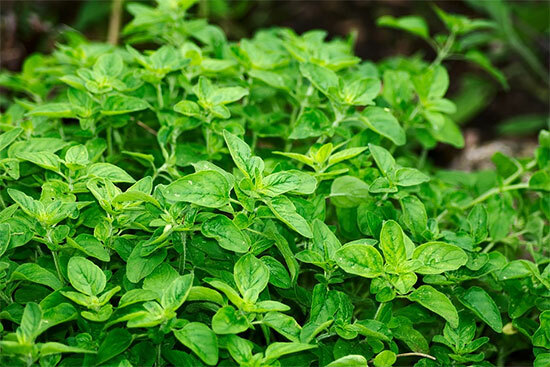 That's where herbs come into the picture. Herbs make excellent outdoor topiary and look great in gardens. They're also perfect as gifts. As an added bonus, topiary made from herbs have a fragrant aroma. The most desirable herbs in the topiary world are the ones with small, dense foliage such as thyme, lavender, and rosemary. Herbs can be constructed into any number of forms. Thyme is noted for its unique dark purple and white flowers and earthy scent whereas Rosemarie is known for its purple and white flowers and its pleasant scent. Herb topiary can also be placed indoors to spread its pleasant aroma. Hedges make excellent topiary (aka, live topiary trees). The aforementioned shrubs are also good for hedge topiary (hollies, laurel, etc.). 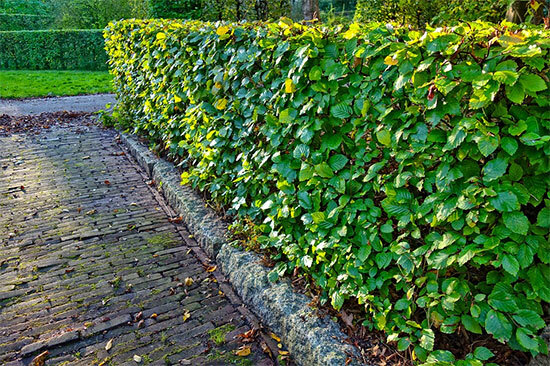 Hedges are often used to sculpt cylindrical geometric shapes such as spirals, pyramids, cones, and so on. These types of shapes are easiest if the plant has a needle structure or has dense leaves. If you have a taller formation in mind, plants such as Alberta, arborvitae, yews, and hollies should be your top choices. Hollies that have traditional holly leaves can be trimmed into any shape that you desire. If you have a cylindrical topiary in mind, the Anglo-Japanese yew and the common yew tend to grow in a cylindrical shape, making them the perfect choice for such a project. The Alberta spruce is one of the more popular choices for spirals and Arborvitaes are best for designs that are more statuesque in nature, such as cones, obelisks, or even spirals. Vines are a bit different then the other plants listed thus far. Quite frankly, the design choices that you can achieve with vines are nearly limitless. Designs can be plain and simple or extremely complicated. Vine topiary design includes animals, shapes, statues and any other shape that you can think of. Simply pin the ivy to the topiary form (such as a small statue or wire mesh elephant) and allow the ivy to grow until it completely covers the object. Once the object is covered trim the ivy until it resembles the shape underneath. Working with ivy is incredibly easy and provides flexibility for any topiary artist, whether aspiring or professional. The problem with ivy is that some types are invasive, such as English Ivy. Invasive ivy is known for climbing up trees and blocking photosynthesis, and can even weigh a tree down and cause them to topple over in a storm. Some ivy can even harbor a terrible bacterial disease deadly to plants known as Leaf Scorch that can kill maples, oaks, elms, and other plants. Avoid these invasive plants at all costs and use non-invasive ivy varieties such as "Gold Child, "Lady Frances", or "Duckfoot". Moss might not be the first thing that comes to mind when you think of topiary plants, but they do indeed make excellent topiary. Sphagnum Moss is a small flowerless plant that grows in dense green clumps. 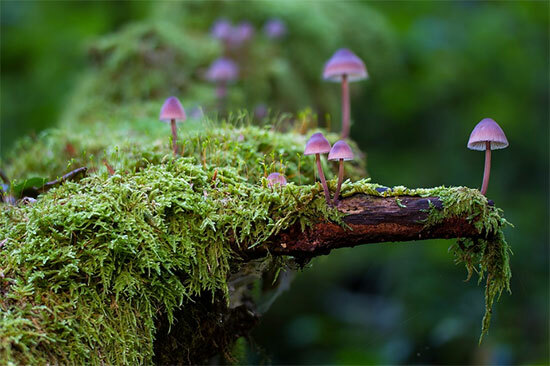 They’re most often found in shady or damp locations. When crafting a topiary masterpiece composed of moss, simply find the proper frame, such as of an animal or shape, and fill it with moss. Once full, your moss filled topiary can stand alone or you can use it as a base to plant trailing vines, herbs, or flowers. When creating your moss topiary artform, ensure that your mesh doesn’t have any broken wires. You must then place your moss within a large bucket (or bowl) and douse it with water until it’s soaked entirely through. At that point, stuff your wire frame with the wet moss. It’s recommended that you start at the legs and work your way up. Once finished, examine your work carefully to see if there is any moss sticking out. You can use scissors to even out your topiary design by clipping any uneven parts. Here are is a sample elephant topairy using sphagnum moss cover over a wire frame. Our best animal topairy allows you to bring Africa to your garden without traveling. Brush Cherry is a compact evergreen that sports firm and glossy leaves. 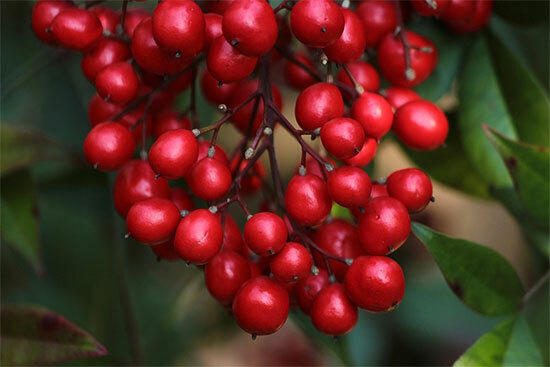 With enough sunlight this plant will develop red highlights at the tips of its leaves. The Brush Cherry has white flowers and, when placed in the proper environment, will begin to produce delicious berries. With its beautiful white flowers and edible fruit tinged a touch of purple, this plant is hard to miss. The most natural form of the Brush Cherry creates a low border or small hedge. 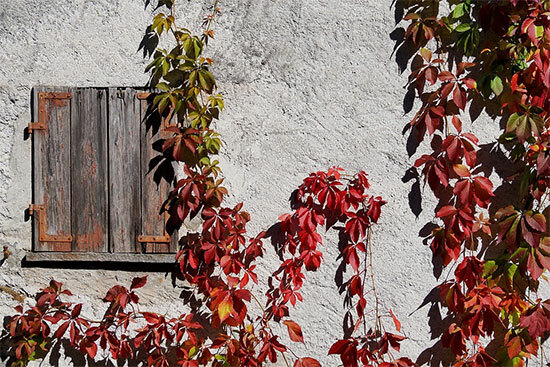 The Brush Cherry is popularly used to accent entryways into buildings. Brush cherries are also perfect for bonsai. 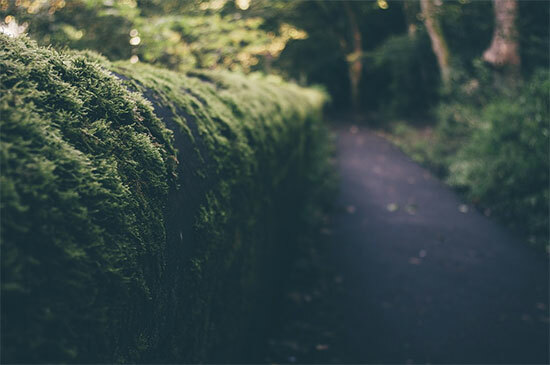 Whether you choose to make an artificial topiary or one created from natural plants, it remains a good idea to select plants with dense foliage. Plants with dense foliage cover wire topiary frame completely and cover a homemade, DIY topiary very well. Such plants as Japanese holly and boxwood work very nicely to bring a topiary frame to life. And if you use rosemary, thyme, and lavender to surround your outdoor topiary frames, you’ll add not only beauty but also fragrance and tiny flowers to your surroundings. Ivy vines remain another wise choice for forming complex outdoor topiary forms, as they are easy to manipulate into place. Find a good picture of your chosen animal and take a close look at it. If the plant is fluffy, smooth, scaly or has a mane, you’ll need to find a plant material that gives your topiary the right illusion and texture. Choose a plant with smaller leaves for a small animal. And don’t forget the details of the topiary animals you create, like stripes and whiskers. If you want an artificial topiary for a wedding, you should look for an artisan to make the topiary well before the wedding, and a topiary artisan may be hard to find. Some people who want to create a wireframe for their artificial topiary can do so by making a wire frame. Just be sure to choose a wire material that is a neutral color, or green, and that is made of materials that will withstand a wide variety of types of weather. Or, if you don’t want to take time to spend time in building a topiary frame, a wide range of animal frames can also be purchased, too at https://topiarytree.net/products/frame-animal-topiary. Our topiary animal frames come with excellent topiary frame instruction. Once you’ve found the right topiary frame, place it over the plant and shape the plant accordingly. Or you can put moss inside the topiary’s form and grow it from inside the wires, too.